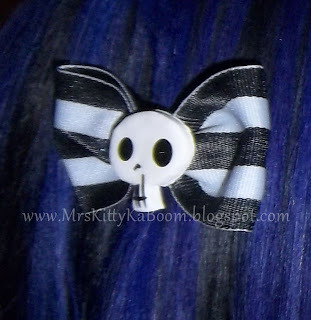 The owner of ZombieGirl, Cyndee contacted me shortly after this post was made and advised me the lilac colored bow I received was sent to me in error and said they DO have a royal purple bow! She immediately corrected the error and sent me out (and I got it today!) 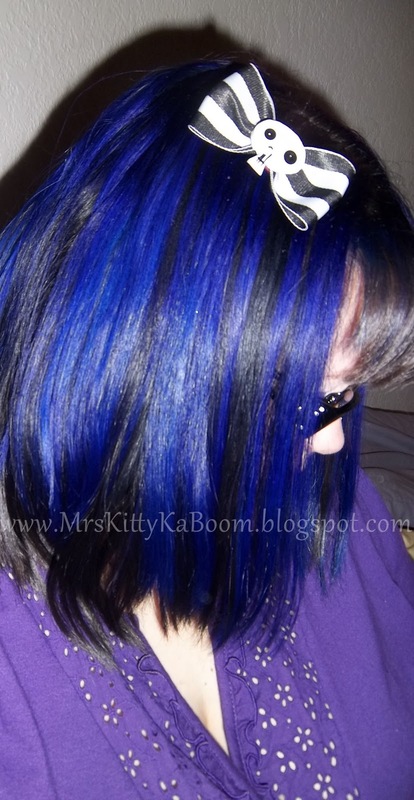 the color I had originally ordered! This is outstanding customer service and I am SO extremely happy to have my new favorite bow! Thanks ZombieGirl for top notch service! You're the best Cyndee! *WARNING* This post is gonna be HUGELY photo heavy & quite long. 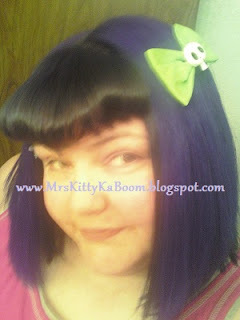 I like to window shop online.... and here's why. A part of all of us is that awesome satisfaction we get when we get nice things for ourselves I think. This compulsion drags us towards massive amounts of shopping and the uphoric feeling we get when we've gotten a great deal or found the perfect what-not. So to curb my spending and keep my money where it should be, I e-window shop. I go to my favorite sites, pick out everything I love, put it all in my cart, and then ... when its check out time.. I just press the little X and close out of the window. I still get the feeling of shopping without all the guilt. It satisfies me to just look at the lovely things and what I'd do with them, and certain things I make mental notes of and return to do an actual purchase. I don't like to impulse shop. If I like something enough in a couple months, and feel I can't do without it, I'll go back and purchase it at a later date if I can't stop thinking about it. So, the reason I told you all that was because I wanted to tell you all about an accessory company that I've been stalking for awhile and now I'm in love with. 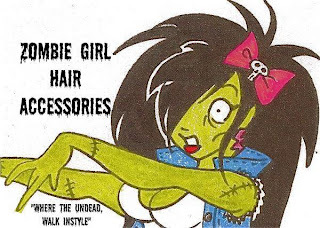 This company feeds my Psychobilly needs perfectly! 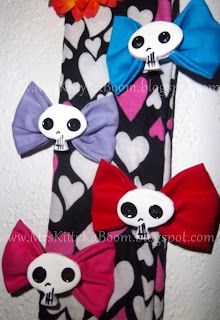 The company is ZombieGirl & Zombaby Designs (she also makes the cutest baby things!). 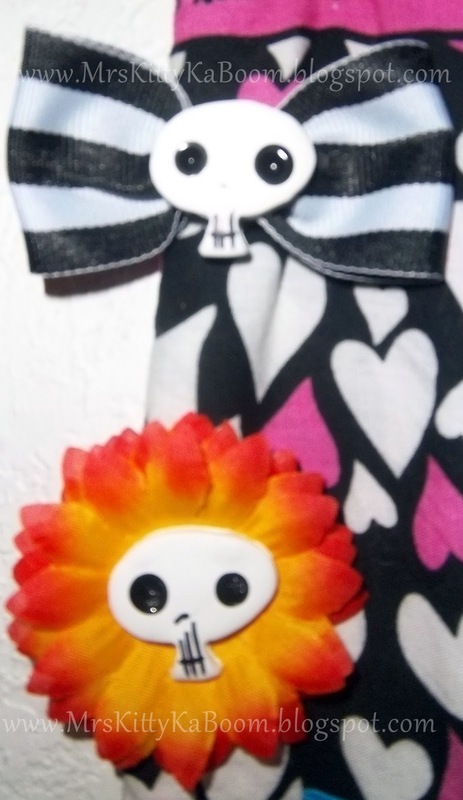 I noticed her shop first on Shop Homemade and she also sells right off her facebook fanpage. Just FYI her facebook always has a much better selection & is always being updated. Her designs are so adorable and everything is handmade with love by Cyndee. 4 Mini bows, 1 mini flower, 2 regular bows, and 1 ribbon bow. I keep them all clipped on a bandanna on my wall. Ribbon bow "The "Guilty" my FAVORITE! 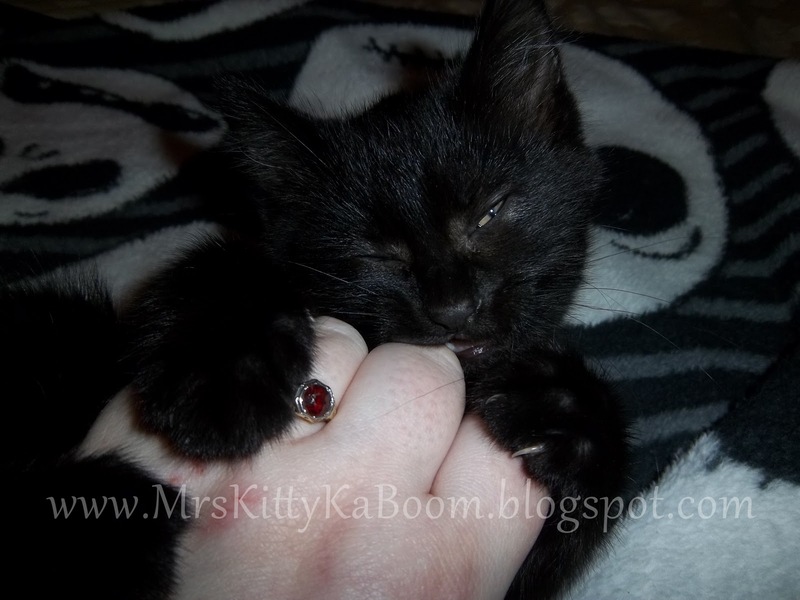 The next little bit is just about the kitten the hubby & I have adopted. She is one little she-devil. 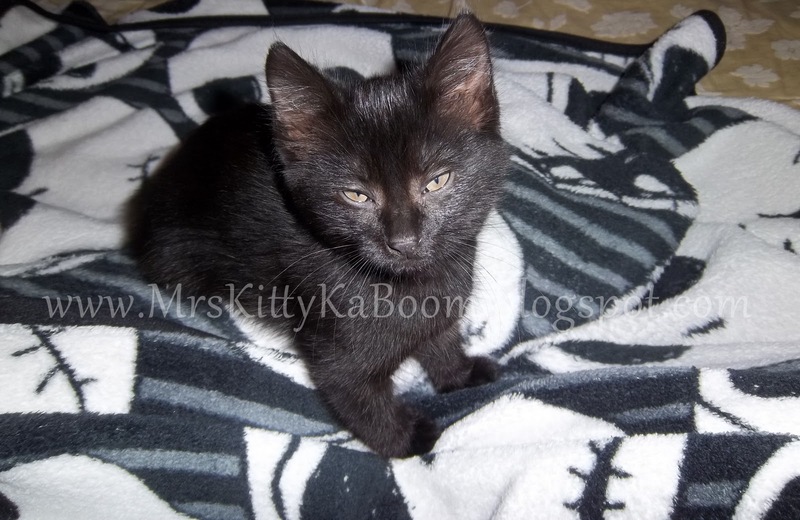 Keeping me up all hours, nibbling and playing with me while I try to sleep, getting into all sorts of little demon kitty trouble while I'm not looking. 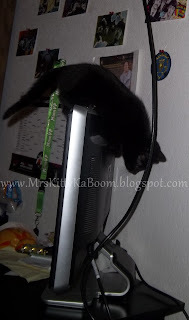 Bad Ony on top of the Mr's computer monitor! Eeek! Yesterday, she learned a new trick! She climbed up all the hanging clothes in the closet and got herself stuck on the top shelf. *grrr* Don't get me wrong, I'm very happy to have her, she's just a handful as a baby! Everyone, meet Onyxia ( my other kitty is named Murloc.. no I don't have problem. LoL) . We don't normally call her Onyxia, we call her Ony or Nyxi. But I think her name fits her perfectly. Her alignment is Chaotic Evil & shes a black dragon. Yup yup I'd say that perfectly describes her. Ony sleeping in the tissue box. 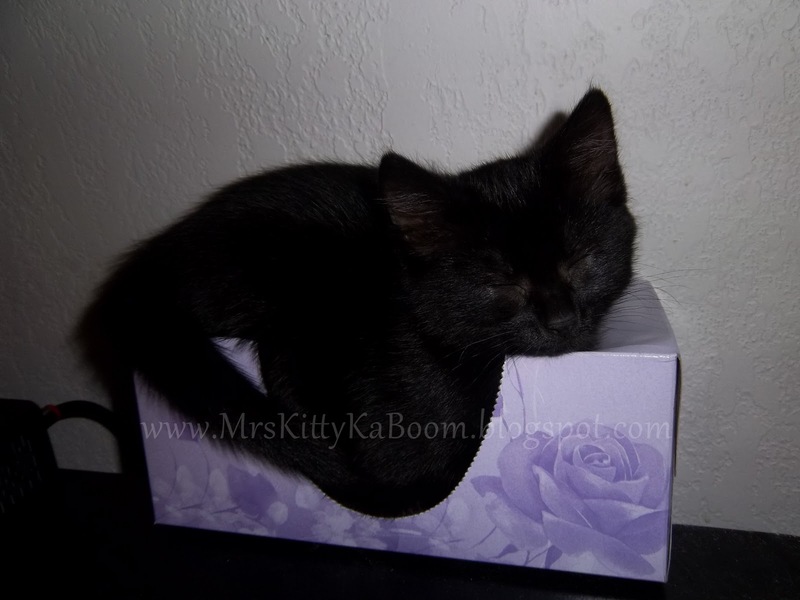 Yes, it still has tissues.. i mean, a mattress in it. Thanks for reading! Ony & I are so happy you decided to stop by! We hope you are having a great weekend and hope to see you back here soon! AWWWW I love your sweet new baby! She is so adorable, she looks like she is very mischievious! 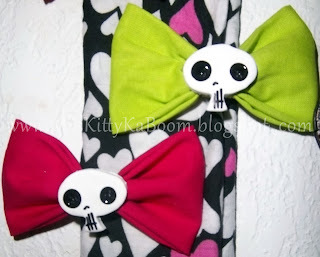 CUTE bows, I am loving those! 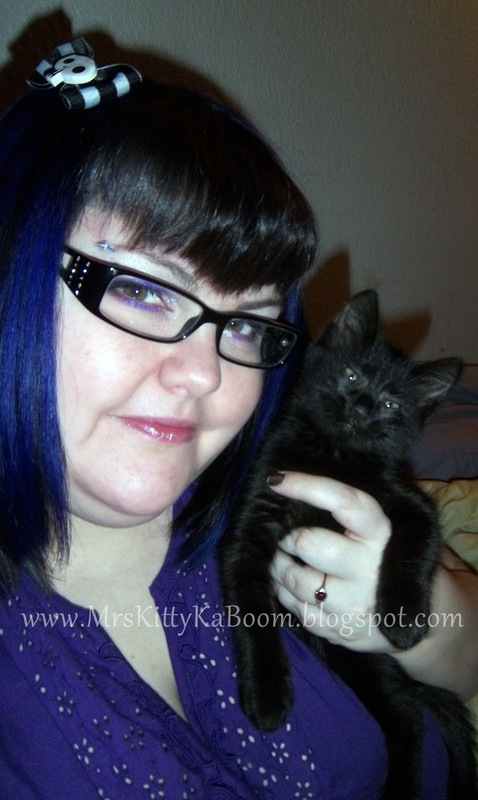 I love how the black stripey one looks with your awesome hair colour! ALSO, I have tagged you for a Versatile Blogger Award on my blog! Please pass it on to some cool blogs if you want to! ur kitty cat is so cute!! reminds me of my Fushia.